Christmas will be here before you know it! Do you need ideas for your crafty friends and family? Maybe someone who thinks they aren't crafty but would like to learn? Then Paper Pumpkin is the ideal gift! You can also start a month-to-month subscription too! Subscribe here or you can click on the monthly kit tab at the top of the page. 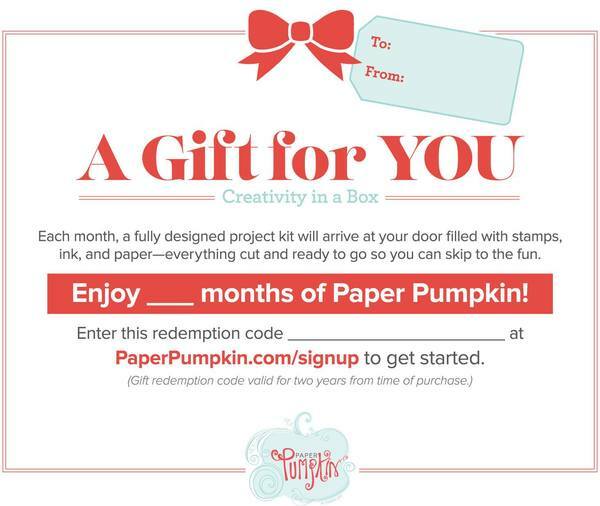 Purchase a Paper Pumpkin as a gift and I will send you a gift certificate that you can print to give to the recipient. When you purchase a gift, Stampin' Up! will send you a redemption code that the recipient will have to use to set up an account. They will then be able to manage their account. Did you know that you can suspend an account if you don't want to get a kit that month? 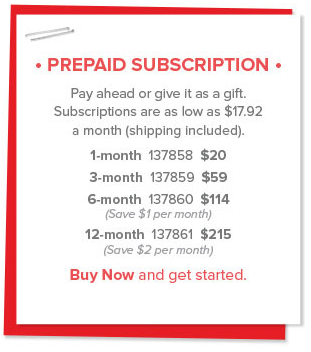 You cannot suspend the paid subscriptions but only the month-to-month. 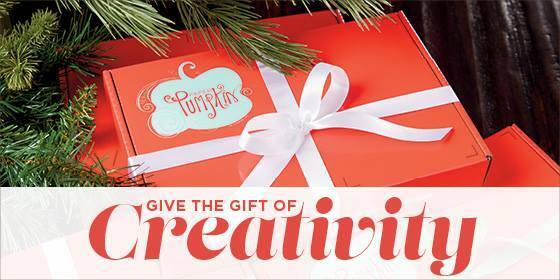 Give the gift of creativity this year! Give Paper Pumpkin!